As mentioned before, my wonderful and most amazing friend, Selena, is engaged!!! 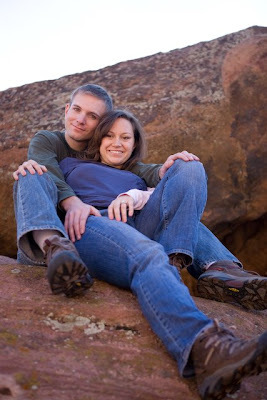 I should also mention that she's engaged to a great guy, Jeremiah. 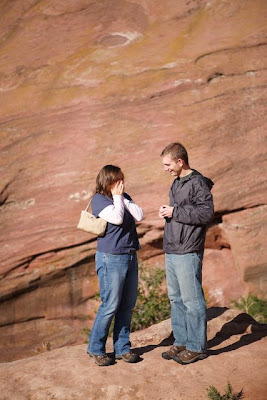 While visiting their beautiful state of Colorado I had the great opportunity of capturing the proposal on camera. 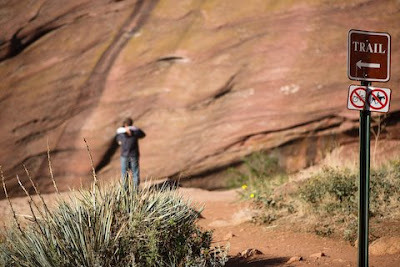 I had an idea that Jeremiah might propose while we were shooting at Red Rocks when I moved his jacket around and felt a small square box in his pocket. Sneaky Jeremiah! When he decided that he wanted to put his jacket back on (in perfectly fine weather) I realized that this was probably the moment. I conveniently let the two of them walk way ahead of me with the excuse that I was shooting them as they walked. I stayed back and watched and hoped what was going on was a proposal, and it was! Selena backed away from Jeremiah with her hands to her face in excitement and I knew that he asked her those very special words. I am so happy for the two of them and even more happy for Selena. She is so deserving of a great man, beautiful wedding and a happily ever after. These are great! I'm so glad you were there and got some pictures. (Now we can all share the moment!) The b&w one and the shadowy smooch are especially adorable. Thanks, Emily! 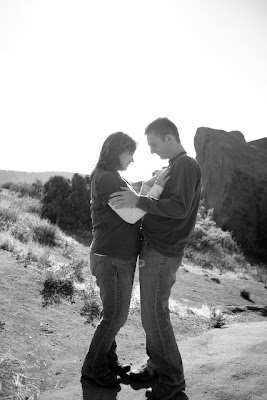 I love love LOVE the pictures! You did such a beautiful job. I'm so glad you were there!